From 27 August 1717, her married name became Manners.2 After her marriage, Hon. Bridget Sutton was styled as Duchess of Rutland on 22 February 1721. Her married name became Manners. After her marriage, Lady Mary Isabella Somerset was styled as Duchess of Rutland on 29 May 1779. [S6] Cokayne, and others, The Complete Peerage, volume II, page 328. From 22 April 1799, her married name became Manners. 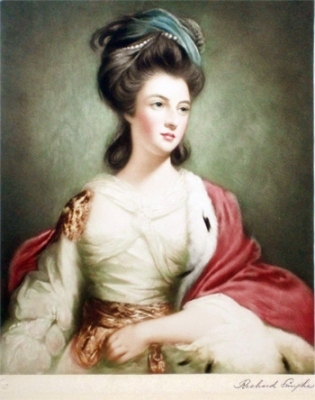 After her marriage, Lady Elizabeth Howard was styled as Duchess of Rutland on 22 April 1799. [S6] G.E. Cokayne; with Vicary Gibbs, H.A. Doubleday, Geoffrey H. White, Duncan Warrand and Lord Howard de Walden, editors, The Complete Peerage of England, Scotland, Ireland, Great Britain and the United Kingdom, Extant, Extinct or Dormant, new ed., 13 volumes in 14 (1910-1959; reprint in 6 volumes, Gloucester, U.K.: Alan Sutton Publishing, 2000), volume II, page 328. Hereinafter cited as The Complete Peerage. [S6] Cokayne, and others, The Complete Peerage, volume XI, page 272. 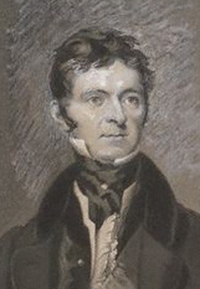 Thomas Hughan of Airds was born in 1813.2 He married Lady Louisa Georgiana Beauclerk, daughter of William Beauclerk, 8th Duke of Saint Albans and Maria Janetta Nelthorpe, on 28 December 1835.3 He died on 24 March 1879. Her married name became Hughan. From April 1704, her married name became Cadogan.8 After her marriage, Margaretta Cecilia Munter was styled as Baroness Cadogan of Reading on 21 June 1716. After her marriage, Margaretta Cecilia Munter was styled as Countess Cadogan on 8 May 1718. [S2] Peter W. Hammond, editor, The Complete Peerage or a History of the House of Lords and All its Members From the Earliest Times, Volume XIV: Addenda & Corrigenda (Stroud, Gloucestershire, U.K.: Sutton Publishing, 1998), page 130, says Munsters. Hereinafter cited as The Complete Peerage, Volume XIV. [S6] G.E. Cokayne; with Vicary Gibbs, H.A. Doubleday, Geoffrey H. White, Duncan Warrand and Lord Howard de Walden, editors, The Complete Peerage of England, Scotland, Ireland, Great Britain and the United Kingdom, Extant, Extinct or Dormant, new ed., 13 volumes in 14 (1910-1959; reprint in 6 volumes, Gloucester, U.K.: Alan Sutton Publishing, 2000), volume II, page 461, says 29 July. Hereinafter cited as The Complete Peerage. [S6] Cokayne, and others, The Complete Peerage, volume II, page 461.